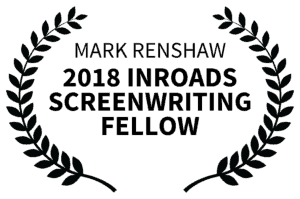 Mark’s sci-fi short script ‘Cyborn’ has been selected as winner of the Inroads Screenwriting Fellowship. His Nearscape TV Pilot, “The Survivors” was also a finalist in the same competition. As the official ‘Fellow’ of 2018, Mark has won a cash prize (Cha-Ching! $$$), an invitation to the Robert Mckee Story Seminar in London in May, Inkitp Listings and a Creators Vault package. The longer term aspect of this prize is exposure. Mark’s work will be promoted to agents, producers and directors in Hollywood and beyond over the coming months. Mark will update the website with any developments, so stay tuned! This entry was posted in script and tagged competitions, sci-fi, screenwriting, short script. Bookmark the permalink.